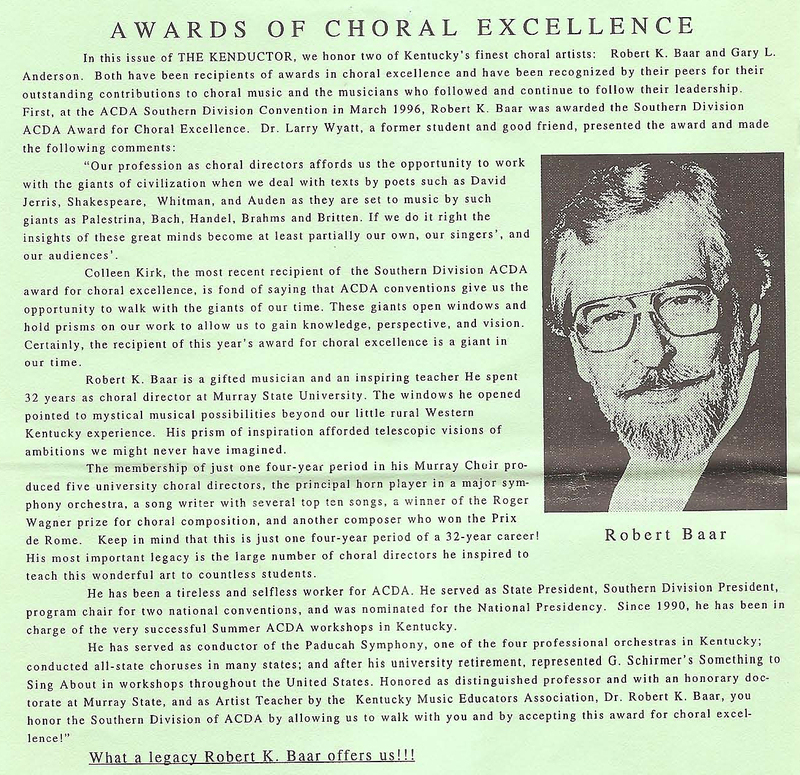 retired from Murray State University, who developed KYACDA's Summer Choral Workshop. Any member of KYACDA is eligible to nominate a candidate for the award by submitting a letter of nomination to the current Vice President of KYACDA by June 1. Each year after the nomination deadine, the past presidents, current President, and President-Elect of KYACDA will select the most outstanding candidate from the nominees submitted by the membership. The award is presented annually at the Summer Choral Workshop. Submit nominations by June 1st.